When you decide to buy a Koplar Kürtőskalács oven, we will support you every step of the way. 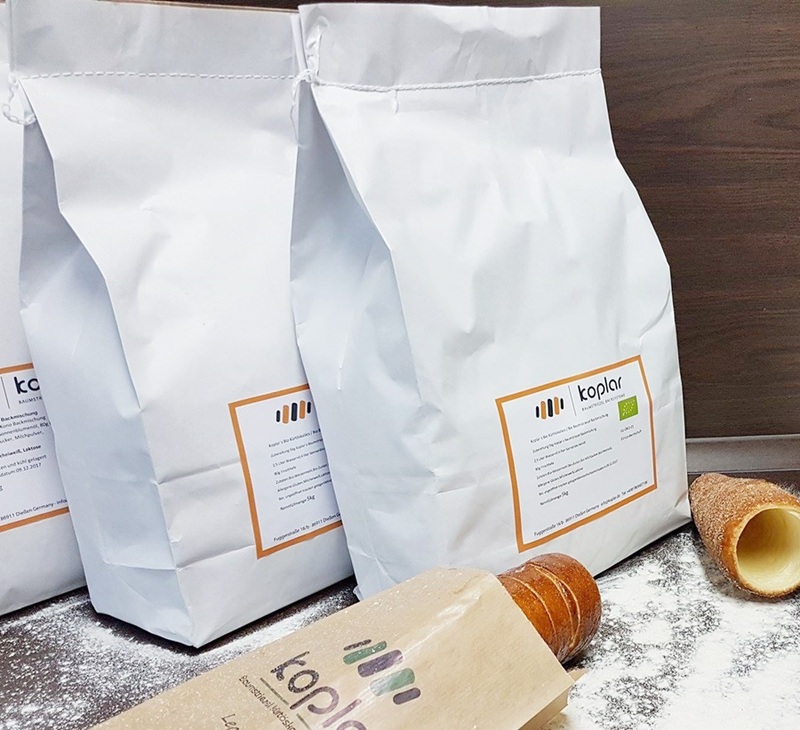 You are not only buying our equipment, but also all our know-how, so you can prepare a perfect dough and produce a perfect Kürtőskalács right before your customers’ eyes the first time, every time. 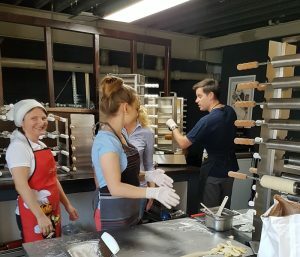 Customers who buy a Kürtőskalács (Baumstriezel or Chimney Cake) oven from us get their training and support included! Because we want you and your customers to be completely satisfied from the very beginning. Fully equipped kürtőskalács training room. For individual training and company training. Our ovens have a perfect partner – and these are our special Koplar´s Kurtoskalacs baking mixes. Both together form an ideally coordinated team. 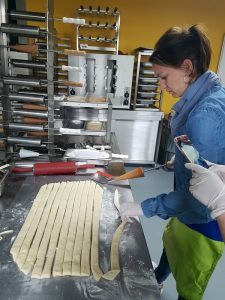 You can be sure that you can produce a lot of Kürtőskalács in a short time without any guess work. Because we know: For you to cover your costs for the stand, the rent, the staff, etc., you need high productivity and fail-safe products. At the core time as many customers as possible need to be served and that’s why we recommend a baking capacity of at least 80 – 100 pieces per hour. Using our baking mixes, you can produce delicious Kürtőskalács that always yield the same satisfying results. The mixes are long-lasting, easy to store (available in 5 kg packages), always in stock and therefore available at short notice. Your investment in our special ovens is not high. Thanks to low production costs (using our baking mixes) and a high profit margin, you have recovered the initial investment quickly. A unique and smart product at events, events, fairgrounds or Christmas markets. With this exclusive delicacy, you can create new marketplaces. 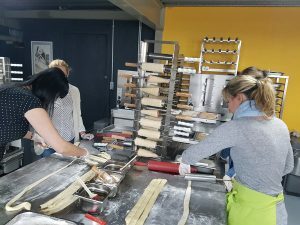 Also in a gastronomic establishment, you can expand your product range with the help of the production of Kürtőskalács, thus creating something special for your customers. The sight and taste speak for themselves! Baking Kürtőskalács means that you are creating a craft experience that invites customers to linger and test the taste. And who can resist the smell of fragrant “caramel” filling the air? 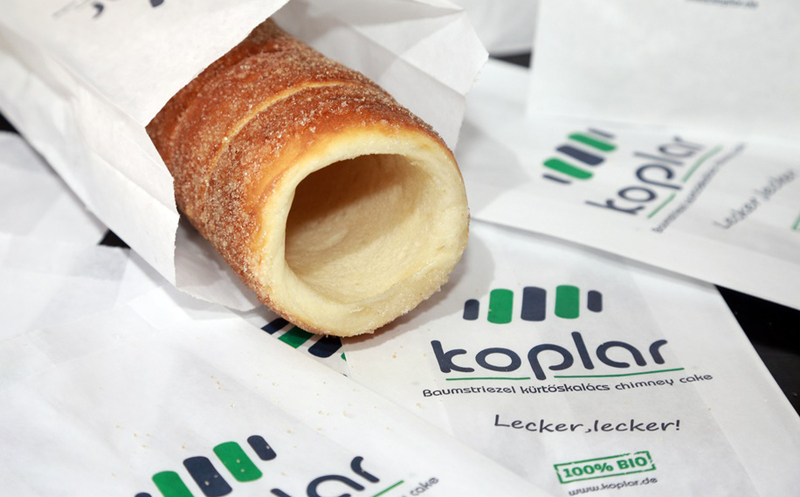 The Kürtőskalács (Baumstriezel or Chimney Cake) is a sweet “To Go” product. You only need a parchment paper bag (possibly with your logo) and customers already has a hot, wonderfully fragrant, crispy yeast pleasure in their hands – which – by the way – at winter events is an added value: what a delicious way to keep their hands warm. You can also present the pastry as decorative treat on a plate or in the “Kono” form, the practical waffle form which can be filled with anything on offer. For those sweet- tooths, stuff Konos with ice, cream, chocolate, creams or fruits. On the other hand, those with a hearty palate prefer fillings with fresh cheese, salad, sausage, cheese, ham etc. So surely something for every taste!